Extreme Makeover: Literary Magazine Edition | The Pinnacle P.O.V. 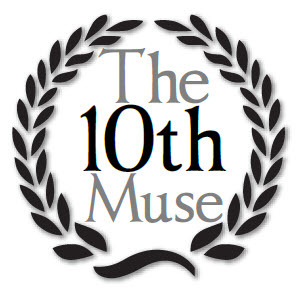 The Pinnacle Periodical is officially undergoing a makeover, and will now be called The 10th Muse Online Literary Magazine. The name was chosen in honor of the nine muses, Greek goddesses who offered inspiration in the arts and sciences. We now have three successful issues under our belt, so hopefully a new name won’t change that success! We are encouraging all of our students and staff to submit any artwork, poetry, or short stories to kboomer@innovat-ed.com. This work can come from class work or outside of the curriculum, but must be school appropriate. Students and staff are welcome to submit as much as they would like, along with a signed media release form before April 29th. If work is chosen for The 10th Muse, students will be informed via email before May 6th. We hope to coordinate the issue’s publication with spring graduation! Our winter issue was great, and we hope to receive even more submissions this time around. Thank you in advance for your help in finding our budding artists! ~ by pinnaclepov2224 on March 28, 2011.